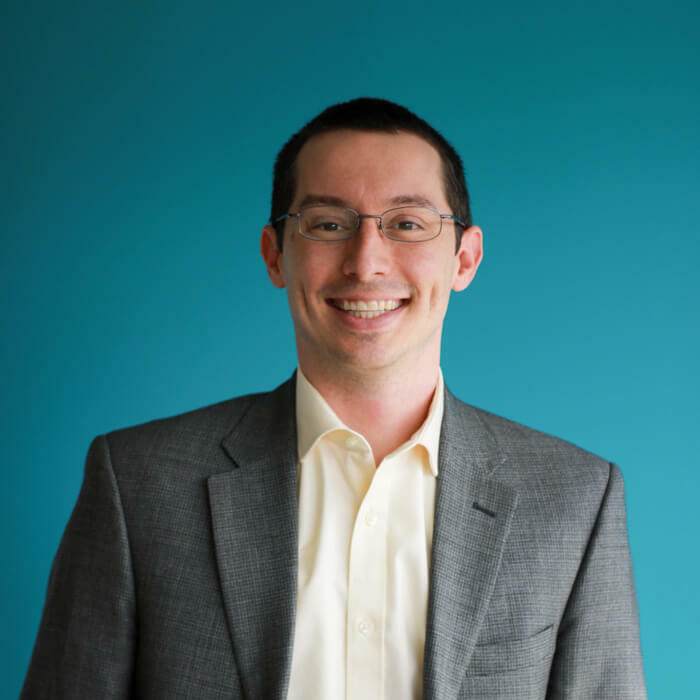 Luke Heinkel is an evaluation and learning expert with over 15 years’ experience conducting research in the United States, Africa, Europe and Asia, and works as a senior program officer on adaptive learning projects in R4D’s Learning Lab. In the case of adaptive learning, his team’s goal is to create “a theory of change” with the implementing partner, perform research to understand the partner’s working conditions and context, and develop two or more strategies for implementation while at the same time collecting data for review and improvement. At R4D, Mr. Heinkel’s team co-developed a literacy program with a low-fee private school network in West Africa, and working with community mobilizers in India devised a method of web-based “e-libraries” for parents’ mobile phones that can help instill early reading practices in young children. A former teacher in Africa through the Peace Corps, Mr. Heinkel also spent considerable time in schools in Sierra Leone working with student leaders to develop a reading club to assist struggling students through direct assessment and one-to-one peer support. Mr. Heinkel has also written several evaluation reports and policy papers. Before joining R4D, he was a research analyst at Mathematica Policy Research where he worked on large program evaluations both internationally and at home for clients such as the U.S. Department of Education, the U.S. Department of Health and Human Services, the Bill and Melinda Gates Foundation and the MasterCard Foundation. Mr. Heinkel is a returned Peace Corps volunteer (Namibia 2005-07), where he taught English and math at a rural junior secondary school and founded a scholarship program for Namibian students. Mr. Heinkel holds a master’s degree in urban planning from New York University’s Robert F. Wagner School of Public Service and a BS in civil engineering from the University of Wisconsin at Madison. McCullough, Moira, Betsy Keating, and Luke Heinkel. “District-Charter Collaboration Grant Implementation: Final Findings from Interviews and Site Visits.” Report submitted to the Bill & Melinda Gates Foundation. Cambridge, MA: Mathematica Policy Research, May 12, 2016. Heinkel, Luke, Kristen Hallgren, Brian Gill, and Megan Shoji. “Making Effective Use of Postsecondary Data in K–12 Education Settings.” Report submitted to the Bill & Melinda Gates Foundation. Princeton, NJ: Mathematica Policy Research, September 24, 2015. Mamun, Arif, Luke Heinkel, Evan Borkum, and Kristen Velyvis. “The Millennium Challenge Corporation’s Vocational Training Activity in Namibia: Findings from Analysis of the First Round of Qualitative Data.” Report submitted to the Millennium Challenge Corporation. Washington, DC: Mathematica Policy Research, September 15, 2015. Blair, Randall, Caroline Lauver, Luke Heinkel, and Clemencia Cosentino. “Research Brief: Supports Help Scholars Adjust and Thrive.” Brief submitted to the MasterCard Foundation. Washington, DC: Mathematica Policy Research, January 28, 2015. Heinkel, Luke, and Kristen Velyvis. “The Millennium Challenge Corporation’s Vocational Training Activity in Namibia: Qualitative Data Collection Training Manual.” Washington, DC: Mathematica Policy Research, August, 2014. McCullough, Moira, Luke Heinkel, and Betsy Keating. “District-Charter Collaboration Grant Implementation: Findings from Interviews and Site Visits.” Report submitted to the Bill & Melinda Gates Foundation. Cambridge, MA: Mathematica Policy Research, July 30, 2014. Mamun, Arif, Evan Borkum, Kristen Velyvis, Luke Heinkel, and John Middleton. “The Millennium Challenge Corporation’s Vocational Training Activity in Namibia: Evaluation Design Report. Second Draft.” Report submitted to the Millennium Challenge Corporation. Washington, DC: Mathematica Policy Research, December 24, 2013. Le Floch, Kerstin Carlson, Bea Birman, Jennifer O’Day, Susan Therriault, Karen Manship, Seth Brown, Molly Abend, Rose Goff, Emily Rosenthal, Steve Hurlburt, Linda Rosenberg, Luke Heinkel, Megan Hague Angus, and Lara Hulsey. “Study of School Turnaround: Year 1 Report.” Draft report. Washington, DC: U.S. Department of Education, March 2012. Del Grosso, Patricia, Lauren Akers, and Luke Heinkel. “Building Partnerships between Early Head Start Grantees and Family Child Care Providers: Lessons from the Early Head Start for Family Child Care Project.” Princeton, NJ: Mathematica Policy Research, December 2011. Pregibon, Natalie, Lauren Akers, Luke Heinkel, and Patricia Del Grosso. “The Early Head Start for Family Child Care Project: Profiles of the Partnership Teams.” Princeton, NJ: Mathematica Policy Research, November 2011.